The Milwaukee Brewers sent their starting shortstop, former NL All-Star Jean Segura to the Arizona Diamondbacks as a part of a five-player deal on Saturday. The Diamondbacks also picked up right-handed pitcher Tyler Wagner in the deal for right handed pitcher Chase Anderson, infielder Aaron Hill, minor league shortstop Isan Diaz and cash. Arizona made Anderson available after signing free agent Zach Greinke and trading for All-Star pitcher Shelby Miller. 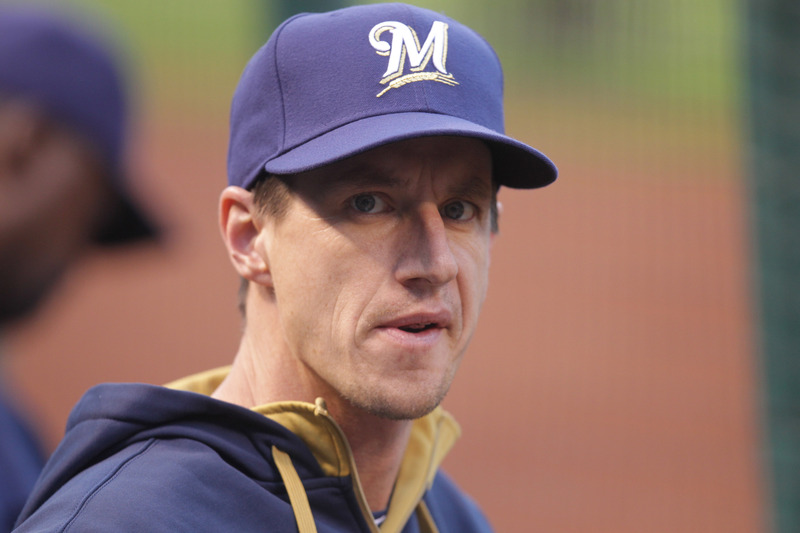 The Milwaukee Brewers came to terms on one-year deals with all three of their arbitration-eligible players, agreeing to deals with shortstop Jean Segura and pitchers Wily Peralta and Will Smith. Teams and players had until noon Friday to reach agreements or exchange numbers for possible hearings in February. Each player made just over the minimum salary last season and will see significant pay raises. Will Smith’s salary nearly tripled to $1.475 million. Segura’s salary jumps from $534,000 to $2.6 million. Peralta goes from $525,500 to $2.8 million. The 26-year-old Peralta has been in the starting rotation for three-plus seasons, posting a 35-37 record and a 4.02 ERA in 90 games. Smith has compiled an 8-5 record and 3.21 ERA in 154 appearances. Segura, who turned down a $38 million, six-year extension offer in the spring of 2014, has been the starter at shortstop for more than three years. In 479 games, he has hit .266. Milwaukee Brewers starting pitcher Jimmy Nelson escaped serious injury after being struck in the head by a line drive on Thursday night. Hospital tests revealed nothing more than a contusion, although he was kept overnight for observation. The liner was off the bat of St. Louis outfielder Tommy Pham and was measured at 108 mph before hitting Nelson and caroming off into foul territory beyond third base. Nelson went down hard and was face down and motionless for a few moments. After being looked at by the teams trainers, Nelson eventually rose to his knees and then got up and walked off to a huge ovation from the Miller Park crowd. Mike Fiers gave Brewers manager Craig Counsell just what they needed Monday night. 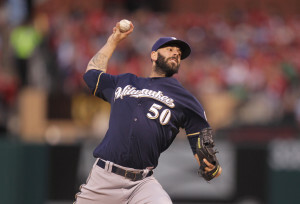 After beating Arizona in 17-innings on Sunday, Fiers not only gave the Brewers a quality start, he held them without a run in six shutout innings. 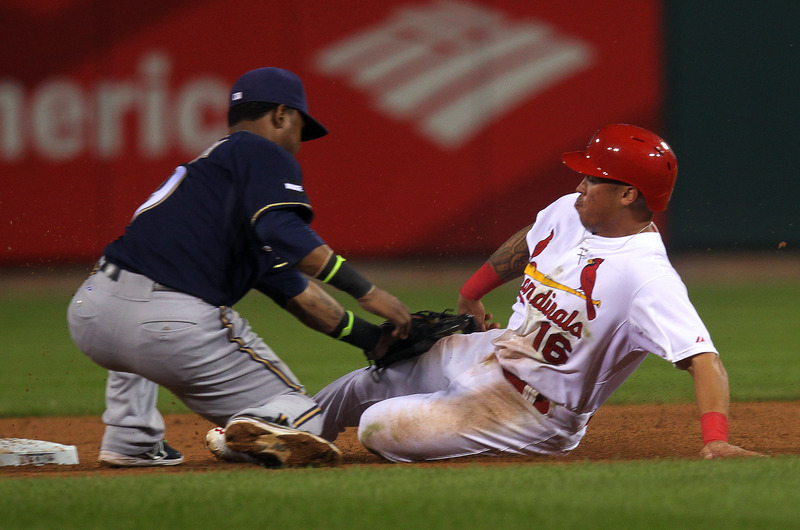 The Brewers went on to beat the St. Louis Cardinals 1-0 in their series opener at Busch Stadium. 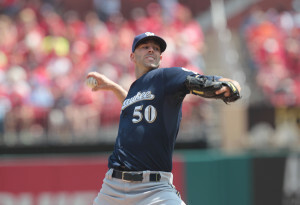 After Fiers, Jonathan Broxton, Neal Cotts, Jeremy Jeffress and Francisco Rodriguez finished up, giving the Brewers pitching staff 18-straight scoreless innings. The Milwaukee Brewers losing streak has reached four games overall and six of their last seven, falling to the San Francisco Giants 6-3 at Miller Park on Tuesday night. The Giants scored five of their six runs off of Matt Garza in the first four innings. Garza surrendered home runs to Hunter Pence and Matt Duffy. 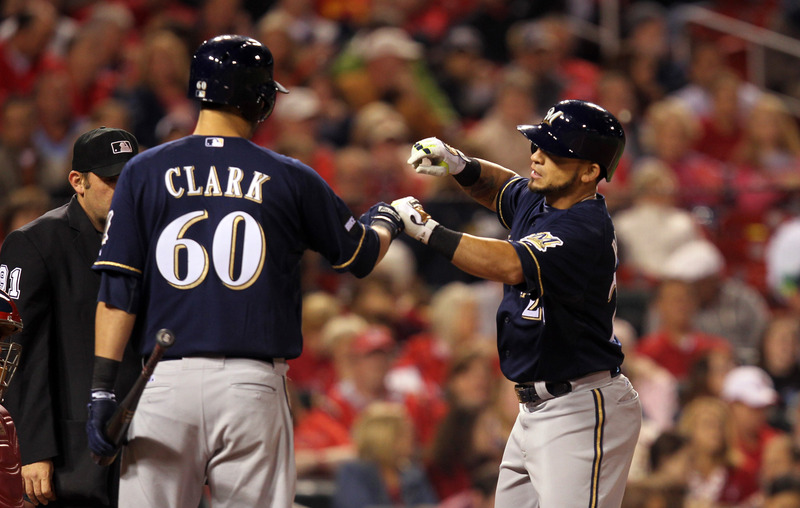 Garza has now given up 10 home runs in 10 games this season, falling to 2-7 with a 6.00 ERA. Madison Bumgarner (6-2) was cruising early and left after allowing three runs in six innings. The Giants bullpen slammed the door on the Brewers from there. Mike Fiers pitches the series finale on short rest today. He goes a day early after Wily Peralta was placed on the 15-day disabled list with an oblique strain. Milwaukee Brewers catcher Jonathan Lucroy leaves today for Class A Brevard County for a four-day minor-league rehab assignment. If all goes well, Lucroy will rejoin he Brewers on Monday in St. Louis for the start of a three-game series with the Cardinals. Shortstop Jean Segura will be activated Friday. He’s been out with a broken right pinkie finger.